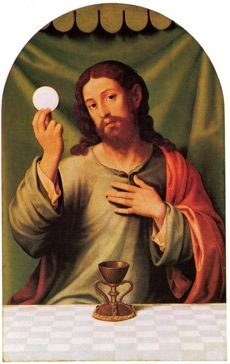 In our parish, First Holy Communion is received when the child is at least seven years old and, according to the mind of the Church, can distinguish between ordinary bread and Eucharistic Bread, the Body, Blood, Soul and Divinity of the Lord. In practice, this means when the child is in Year 3 or after. 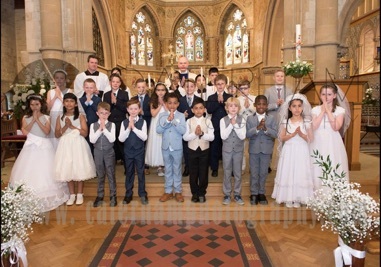 Children from non-Latin Catholic rites such as the Ukrainian, Syro-Malabar or Syro-Malankara usually received their first Communion and Confirmation when they were baptised. Parents may feel, however, that their children would benefit from attending this course and beginning to receive Communion regularly from this point. 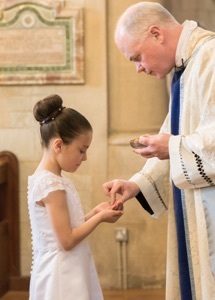 Please find below the link for the session dates for Parents and Children for the 2019 First Holy Communion programme. All sessions are important and should not be missed. 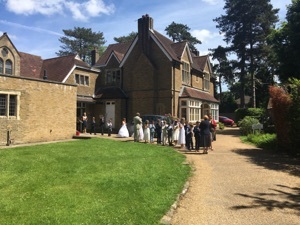 Please do arrive in good time: late arrivals can be disruptive, and may have to be kept back from the class until a suitable opportunity occurs for entry; this may result in children not completing the course.